Reflectors available, from the introductory Euro Reflector, Air Cooled Reflectors and Cool Tubes, through to the more expensive Parabolic, Wing & Diamond styles, are a must for any grow room, helping to reflect light, that would otherwise escape, back down in the direction of the plants. The Maxibright Horizon 315 Reflector is unique in its shape and size, measuring just 260mm x 210mm x 115m. 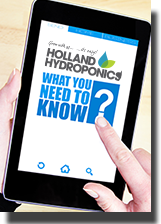 It may be little but it packs a punch, and is perfect for supplementing your grow room lighting. The Gavita HortiStar 1000 HR 96 DE reflector has been specially designed for double ended 750W and 1000W lamps. The Growlite OG air cooled reflector is a revolutionary piece of kit as unlike conventional reflectors, the Growlite OG mounts the grow lamp vertically and is available in 6" and 8" duct sizes. The Hood XL by Growlite is an air cooled reflector that’s lightweight, efficient and being air cooled it helps to keep your grow room at optimum temperatures, but also means you can get the lamp closer to your plants without the fear of burning. Sunstretcher Lite Air Cooled 5" & 6"
The Sunstretcher Lite Air Cooled Reflector is a great addition to your grow room to help keep it at the optimum temperature by pulling air through and over the grow lamp. The new Sunstretcher Air Cooled Tube Reflectors offer a slightly different design to most air cooled reflectors on the market today as they have a completely sealed glass tube running through the reflector to provide extra cooling via ducting on both ends. Fantastic air-cooled Sunstretcher reflector at a bargain price! Control the direction of light with the Adjust-A-Wing reflector. The Adjust-A-Wing Enforcer is a high grade adjustable wing reflector aimed at those on a limited budget who want to maximise light spread in their grow space. 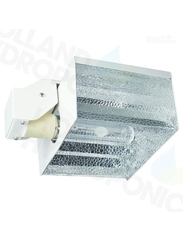 Available in 2 variations for 250w-600w or 600w-1000w grow lamps.